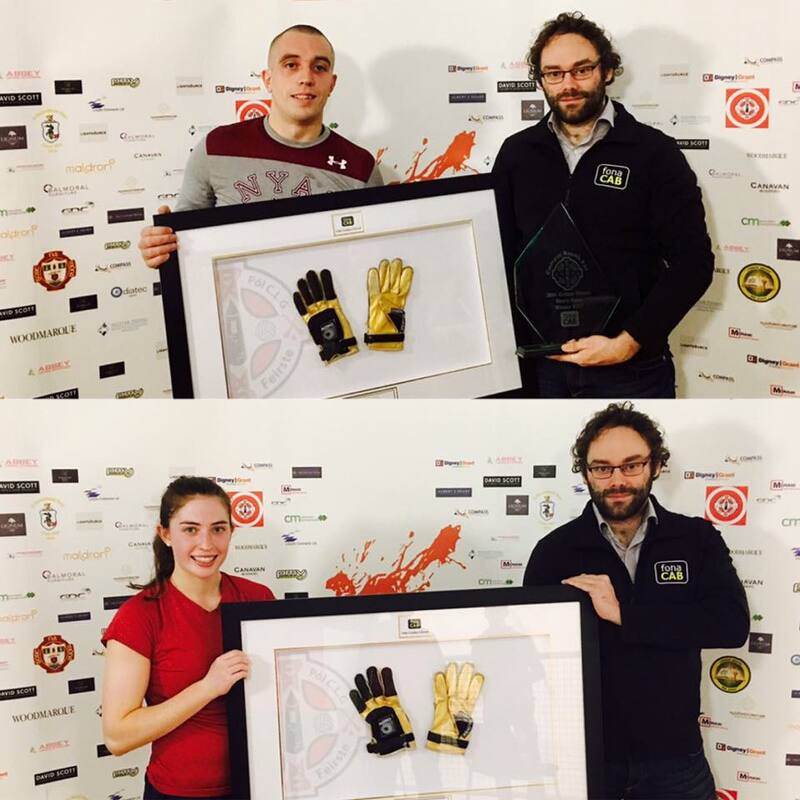 Belfast, Northern Ireland, WPH Press, 10/30/17- The St. Paul’s Club hosted the 2017 FonaCab Golden Gloves Titles on the last weekend in October, with Ireland’s top men’s and women’s senior stars battling for valuable GAA Senior 40×20 ranking points and the prestigious Golden Gloves Titles. The Golden Gloves Women’s Singles featured WR48 #1 Catriona Casey, WR48 #2 Martina McMahon, and two-time defending world champion Aisling Reilly. Casey cruised to the final in the top half of the draw, while McMahon and Reilly met in a scintillating matchup in the bottom half semifinal. 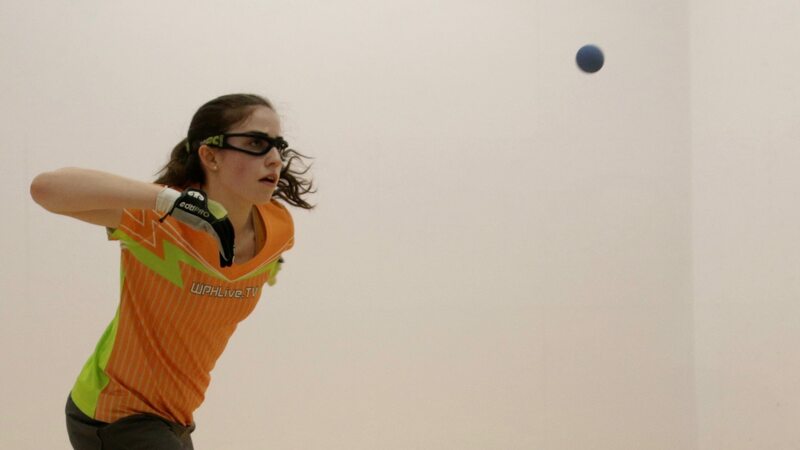 Reilly was making her first tournament start in more than a year after shoulder surgery, while McMahon has firmly established herself as the world’s #2 women’s handball star in Reilly’s absence. McMahon was too powerful for the world champion, pushing Reilly from side to side and executing offensive opportunities with both hands, cruising in two games to meet her rival Catriona Casey in the final. Current All Ireland 40×20 Senior Champion Charly Shanks entered the Golden Gloves as the top seed in a stellar field that included Martin Mulkerrins, Robbie McCarthy, Diarmaid Nash, Colin Crehan, the Funchion brothers, and Irish superstar Tony Healy. Shanks advanced to the semifinals with an emotional win against Tony Healy, while second-seeded Mulkerrins was upset by fellow nextgen star Colin Crehan. Third-seeded Robbie McCarthy cruised past Patrick Funchion, while Diarmaid Nash defeated Irish junior sensation Sean Kerr to book his spot in the semifinals. Shanks and Nash faced off in the upper bracket semifinal, continuing a rivalry that has gone back and forth since their first meeting nearly seven years ago. Shanks survived his second consecutive 15-14 game to take game one and advanced to the final by winning game two, 15-11. 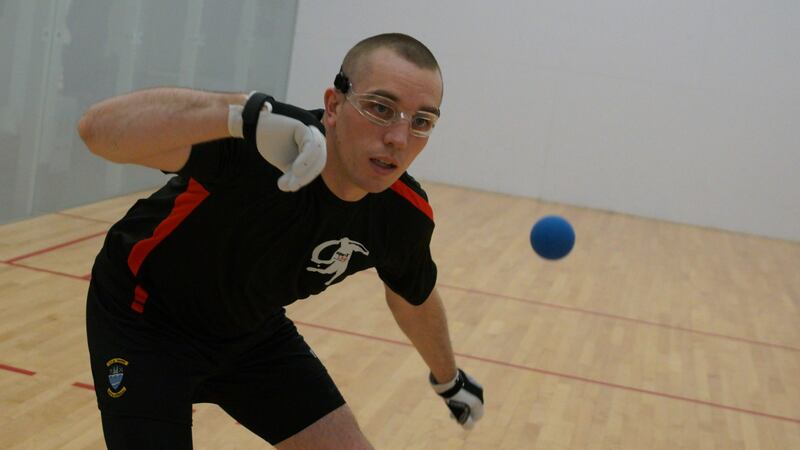 McCarthy continued to dominate in the semifinals, building big leads in both games against Colin Crehan and booking his spot against Shanks in the final, 15-7, 15-8. McCarthy never allowed Shanks into the match, outscoring him 30-15 in the final and announcing that he is back in top form. “McCarthy was in irresistible form all weekend and his ability to conserve energy in grueling weekend tournament formats whilst maintaining incredibly high levels of play continues to astound fans,” reported the GAA. Both Casey and Shanks will be on the short list of favorites at the November 10-12 WPH Tucson Memorial/Race 4 Eight 7 Stop #2.